The cacao plant was first given its botanical name by Swedish natural scientist Carl von Linné (*1707-†1778), who called it “Theobroma cacao” (“cocoa, food of the gods”). This was the first contribution of Sweden to the world of chocolate. Just like pepper or coffee, this beautiful name, cocoa, is associated for many people with exotic adventures in remote countries. As a child, traveling the world was irresistibly attracting me and this is indeed how these wonderful products first got my attention. My chance was given to me by my father, through whom I discovered early the world of plantations in Africa. As a Swedish diplomat, my father first worked for the Embassy in Paris in 1945. Years later his journey took him further south to Cameroon, where he ran a trading company, until, eventually, he settled in Madagascar in the 1970’s after he had taken over mining companies and sisal plantations. So it is in Madagascar, at our family estates, that my journey through the fascinating world of cocoa, spices and other delicious natural wonders really started. There I have learned over the years the secrets and subtleties of managing and developing plantations. Ultimately, I focused on and specialized in fine cocoa and spices, whilst my consistent aim was to achieve the highest quality in a sustainable way. Today, my plantations in Madagascar, in Brazil and Indonesia supply world famous chocolatiers and chefs. In close collaboration with these passionate artists, I experienced the fascinating artwork to conjure cocoa into chocolate or how pepper enhances recipes and, ultimately, I launched a small and exclusive line of chocolate and fine exotic foods. The creation of ÅKESSON´S could not have taken place without the close collaboration and support of my family and friends. I am eternally grateful to all these people and especially to the growers and the team with whom I work every day. In MADAGASCAR, we are certified “Fair for Life” by IMO. The plantation is a single living organism where we try to provide a secure working and social habitat. Food, shelter, health, security, liberty and spiritual activity are what the farm offers. For example, we converted all our estate to solar energy (GAÏA Alternative Energy) and redistribute half of the electricity to the village nearby where our employees live and supply portable solar panels to the most remote places. We provide land to our employees so they can be self sufficient and grow their own rice for their family. We contribute in building schools and finally, in a country where medical goods are not easily available and where employees easily spend up to half their revenues in medicines, we have organized to collect them in Europe and redistribute them on the plantation. All this is to be added to the best possible retribution and the integration of the whole families to our community. In BRAZIL we are certified by UTZ the largest program in the world for socially and environmentally responsible cocoa production. We purchased our plantation in May 2009 and our first move was to rebuild a decent housing for our employees, with water access, fully equipped kitchen and bath rooms and septic tanks. To many of you who read this article, things like this sound normal. Unfortunately, they are not and what is usually described as “Fair Trade” redistribution of wealth still does not pay for these “luxuries”. In FRANCE, we are supporting the action of the Jewish association “Oeuvre de Secours aux Enfants”, in Paris, created in 1912 by Jewish doctors in St Petersburg. All our fine exotic foods are packaged there and 30 euro cents are given to the workers for every item packed (jars or pouches, and even 70 euros cents for the tins). The association hosts 65 adults with disabilities, primarily mental and motor, and offers them a job with appropriate management, thus providing them with financial and social independence. Workers can complete internships or work a few days a week or just occasionally. 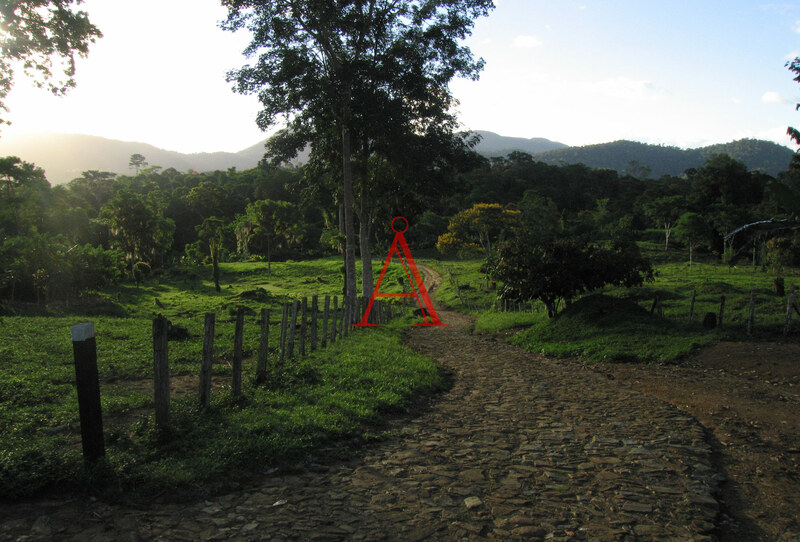 In BRAZIL, “Fazenda Sempre Firme”, the plantation we bought in May 2009 has a commitment to the maintenance and preservation of the Atlantic Forest (Mata Atlantica). 10 % of our land has a forest area. 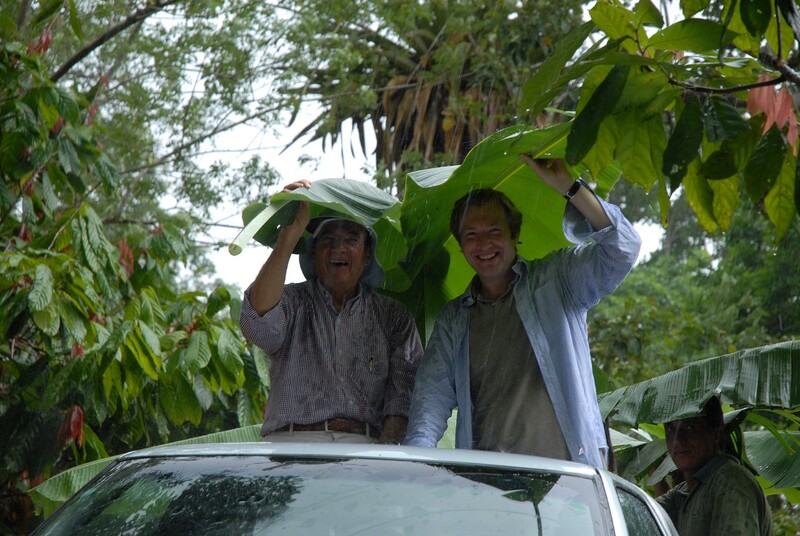 We re-plant species such as Mogno, Eka and native varieties as Pau-Brasil, Peroba, etc. Besides we are also helping neighboring communities to protect the environment, avoiding hunting of animals, extraction of trees from reservations, protection of the river heads and rivers, selection and adequate destination of garbage. Our commit;went is certified by UTZ. We use certified organic cane sugar from BRAZIL or certified organic coconut blossom sugar from BALI. As far as possible, we use the minimum quantity of paper and packaging material. We do not print brochures (experience shows it ends up in the bin anyway), all necessary information is available on the internet. Our Pepper glasses are sourced from the only company in Europe manufacturing 100% ecologically recycled glass. Why? 2/ It reduces sand and raw material extraction and avoids the destruction of natural resources.